Zeiss marketing goal is to focus on big production teams and teams working for Netflix and similar clients. Totally it'll be 13 new lenses with PL, LPL, and EF mounts options. Each lens price will be 15000 EUR and they will set margin record in Zeiss history. Development announcement will come May 24, 2018. 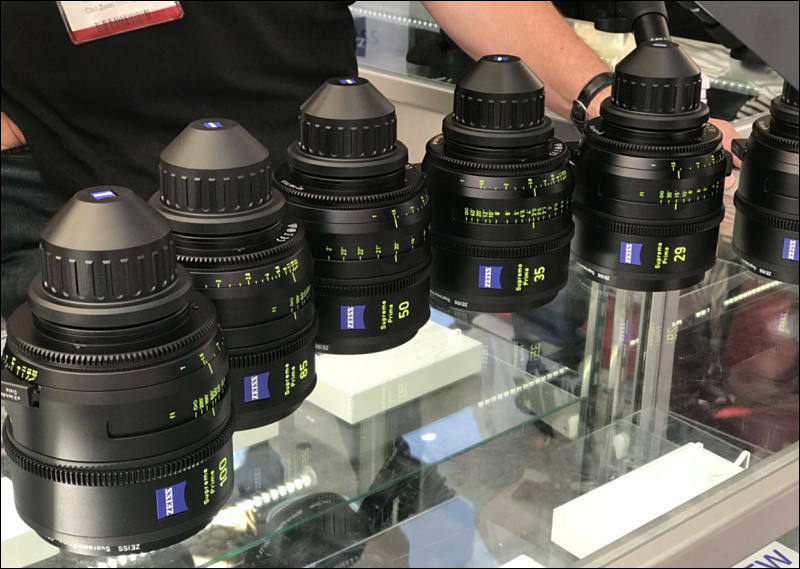 ZEISS has introduced a new family of high-speed lenses for high-end film production: The ZEISS Supreme Prime family consists of 13 lenses with fixed focal lengths between 15 and 200 millimeters, the majority with a maximum aperture of T1.5. "The lenses are designed for film productions of an extremely high quality," says Christophe Casenave from ZEISS. "They are perfect for high-budget advertising or feature films, for example." 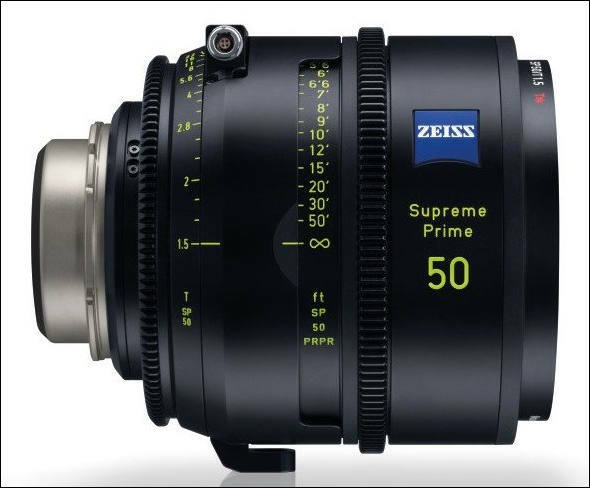 ZEISS Supreme Primes are designed to cover cinematic large format camera sensors and are compatible with all of the latest camera models, such as the Sony Venice, ARRI Alexa LF, and RED Monstro. According to Casenave, the versatility of the Supreme Prime lenses to create different visual looks is due to the gentle sharpness, the aesthetic focus fall-off and elegant bokeh. The lenses are extremely flexible and can be used equally well for science fiction thrillers as well as for dramas. 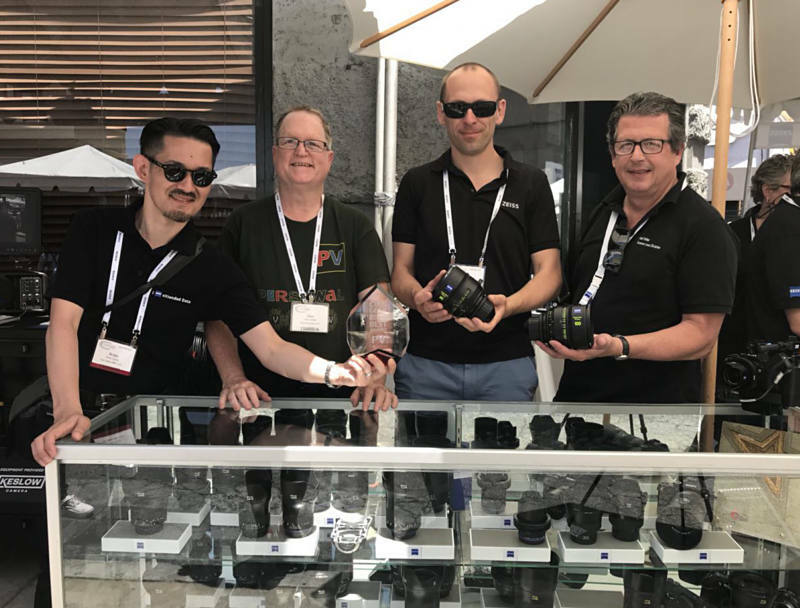 "Weighing an average of 1600 grams (3.5 pounds), ZEISS Supreme Primes are significantly lighter and smaller than comparable lenses on the market," says Casenave. With these compact and lightweight lenses, ZEISS is responding to many camera operators' desire for compact equipment that stills meets the highest standards of quality. "ZEISS Supreme Primes are unbelievably rugged and reliable. Regardless of whether filming in the desert or in the Arctic, the lenses perform flawlessly. And in the event that something should ever break, our worldwide service network provides fast and professional help." The ZEISS Supreme Primes are equipped with the ZEISS eXtended Data metadata technology. Introduced in 2017, ZEISS eXtended Data provides frame by frame data on lens vignetting and distortion in addition to the standard lens metadata provided using Cooke's /i technology1 protocol. This greatly speeds up the entire film production's workflow. When using visual effects for example, with only a few clicks, the lens properties can be removed so that computer-generated effects imagery can be accurately applied to the captured imagery. The lens properties can then be reapplied with the same click of a button and combined with the film material to create a realistic image. Previously, all of the data had to be measured manually so that it could be corrected in post-production. But ZEISS eXtended Data eliminates this time-consuming job. Wish all cine lenses would do this. As they're such sizeable investments.